When I posted these in the Chat forum they stirred a bit of interest, so now that I have them mounted and some miles on them, I thought I'd post a bit of a review here. As I said in that thread, save the flames-yes, they are made in China by an unknown source. If they came from some boutique in Europe everyone would be gaga. They do appear to be identical in form (and weight) to the first gen bars supplied with the top end Emonda, and available from Bontrager at $600. The Bontrager Blendr mount fits perfectly to the front of the bar. 2) They are STIFF-there is a large web at the "stem"/bar junction that likely adds to this. There is a perceptible extra tiny bit of firmness to the front of the bike. 3)they appear to be well made and finished. 4) The position as delivered was identical to my prior setup-6 degree stem, same compact reach, drop etc-obviously ymmv, but I was very pleased as its fixed. 5) I've hammered them over rough pavement etc, and no creaks, flex etc. I don't think they're poorly made. I'm under 60 kg, so take that for what its worth. 6) They are available without graphics of any kind if you look around ali or dhgate. 1) They are STIFF- there is a subtle but perceptible increase in road buzz etc transmitted. 2) The interface between stem and steerer is tight-might have been a qc issue or a sample size of 1 thing, but mine required a bit of effort to seat-and if you used an expander like a tune gum gum it might be less than ideal. 3) They are round and the size of classic bars-no issue for me, so far, but I've grown accustomed to flat tops and aero shapes-these are less comfortable to lay wrists beside stem, if you do that, and have a little less support for the wrist area when lying flat on the hoods. The drops are nicely shaped though. Also, its worth noting that the cable routing is purely external and there are no grooves. Mine worked fine with a brake cable and di2 wire. A couple of other notes. The stack height is almost exactly one spacer larger than my UNO-this may or may not cause issues in your installation. The clamp hardware is steel 5mm -I replaced the bolts with ti, the nuts are bonded. You'll need to use the blendr mount for a computer, as there doesn't appear to be another easy solution, except for a kedge style cap mount. There does appear to be an internal obstruction in the shifter clamp area for those thinking of using a new barplug type junction for di2, and I'm not sure I'd want to drill the bar for the cabling anyway. Overall, if you can live with round bars with a compact drop, and are ok with something stiff, these appear to be a very cost effective way to save an easy 100g over traditional bars/stem. Pic on your bike? Profile view? I only train on days that end with "y". Few questions, I have seen these on the web and think they had the best looking integrated shape. Do you know what the Reach ended up being on your bars? Have had issues with china bars having extensively long reach. Where did you buy the BlenR pieces that was my second concern with this bar? Yah, pics on the bike please! duvivr6 wrote: Few questions, I have seen these on the web and think they had the best looking integrated shape. Reach is 80mm, measured here. Specs as posted seem to be spot on. Will get pics on bike later today. A very light stem weighs about 100g, so that implies these weigh nothing! 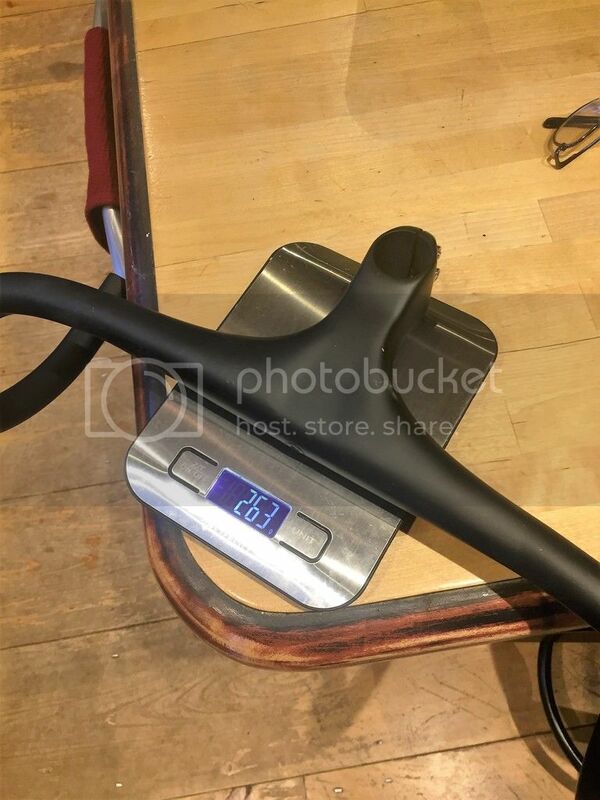 263g is pretty good, especially for the money, but you can also get that kind of weight with high end stem and bars. Link to these bars on the web? A Bar stem combo usually is around 350g - that's what I meant. 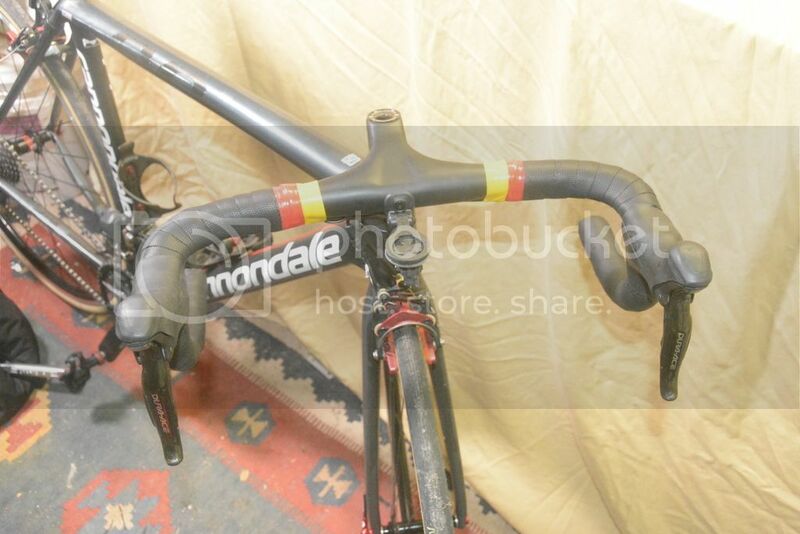 And yes, with a high end stem/bars you can get the weight, but for $75? I suspect it'd be 4x that. 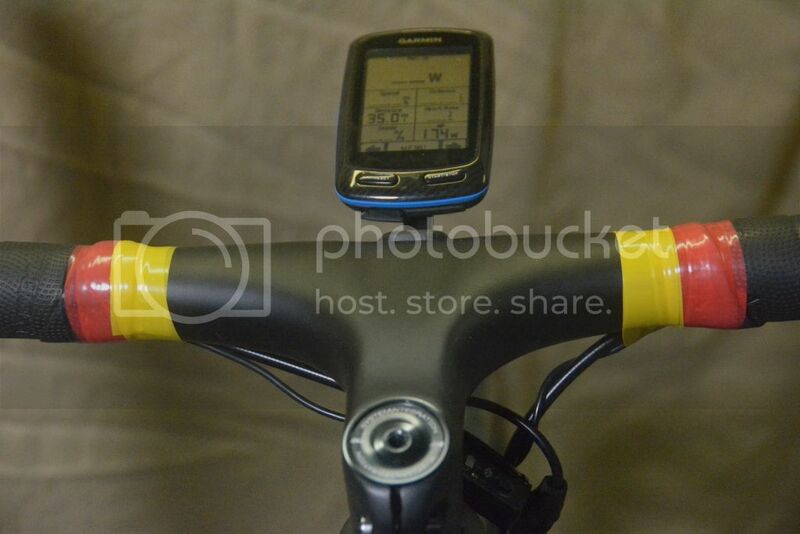 What product would you need to use a Garmin out-front mount with this? I am guessing that bolt on the front of the bar would mount something? Photos-the Garmin mount is Bontrager blendr as linked upthread, modified with a gopro mount and a blackburn flea holder from Where's Waldo from the forum via shapeways. damm 120mm length stem is the longest they do. They look fine. Might get one anyway just to see. I could use them on my commutor. 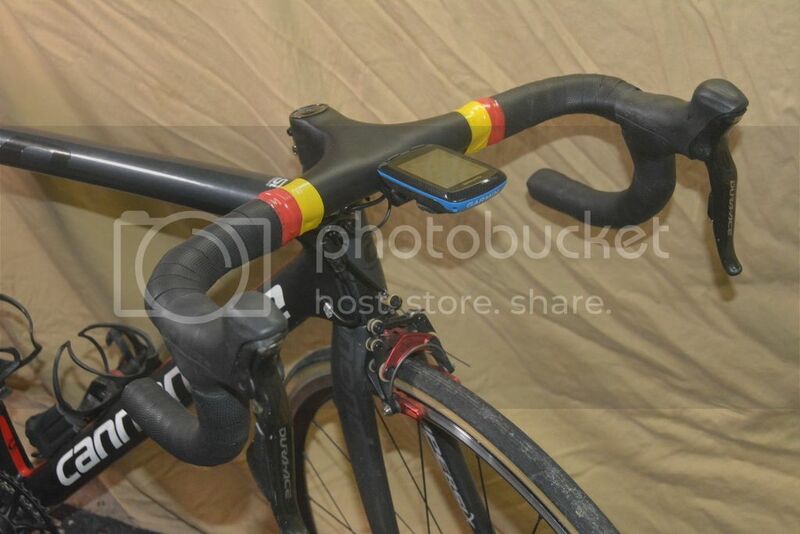 Ive seen this same integrated handlebar stem on Ebay also, if they had on with a -17 stem I might try it, but I really do like my $50 knock off Cervelo bars. They are by far the best bars I have had, Really stiff, very comfortable, they suit my bike well and not to heavy. I just wish I could find a -17 square looking stem to match the frame and bars. I live in china and use this bar in it's smallest size. 400/90 without decals. Paid 350cny and it weighs 250gr including the steel bolts and recessed nuts. The seller showed me a pic of a bontrager decaled version and it was 265gr. Neither of us expected that the weight would vary that much. Now I'm looking for titanium recessed nuts but discovered the weight saving is only 1gr. My first thought was that it must be soft and flexy as hell but it might even be the stiffest I've tried. Nearly alloy stiff. My previous bars got delaminated around the clamp area and got useless. I got this one to prevent that from happening. The fit is not as good and cannot be altered. The clamp length is 43mm. I could only fit a 5mm spacer under so the bars are a bit too low. I'll ride a season like this and then we'll see. Can't find an Integrated bar stem in my size?